The right flooring does a lot in giving a home an innovative look. Not to mention the fact that it is the desire of everyone to live in a clean and neat looking home. As a homeowner it is important to use only the very best flooring solutions. As such, many Dallas homeowners are today opting for polished concrete floors. If you are deciding on installing a new flooring system or working on giving your existing concrete floor a new look, your best option is for a Dallas polished concrete flooring solution. This flooring system provides a plethora of advantages and benefits the first being to enhance the look of your concrete surface. Polished concrete creates a high gloss finish that does not require any waxing. This flooring system is popular in offices, retail establishments, industrial institutions and warehouses. Homeowners in Dallas, Texas are now taking advantage of the aesthetic appeal of this high gloss floors which can mimic the appearance of polished stone. Adding to the appeal of polished concrete is the fact that you can choose its level of sheen depending on your aesthetic and maintenance requirements. This is so because the application on polished concrete is a multi-step process. We have some of the best gear in related to concrete grinding which helps to effectively set the stage before hand or after. The polished concrete process requires the use of specialized machines with diamond disks as well as a lot of expertise to achieve the desired smoothness and shine. It is therefore a must to work with the best Dallas polished concrete contracting installers. Polished concrete in your Dallas, Texas home will provide you with these benefits. Allows you to give your home flooring a whole new look without having to spend so much. Allows you to have a flooring system with an attractive and striking appearance in your own desired unique way. Allows you to have a comfortable and appealing Dallas home. Scratch resistant because the concrete surface has been hardened. Allows you to tint and stamp concrete to add a new dimension to your existing concrete floors. It is available in a wide variety of designs and colors, too. Unlike carpets and tiles, polished concrete does not have grout joints that could attract allergens and dust. Makes new or existing concrete floor more durable giving it a longer lifespan. Delivers great value and aesthetic beauty. Offers a unique flooring system. For these reasons, polished concrete is fast becoming the best flooring option in Dallas, Texas homes. It has become the best alternative to linoleum, granite, marble, tile, laminates and hardwood flooring systems. Any old or new concrete floor in your Dallas, Texas home that is structurally sound can be installed with polished concrete. 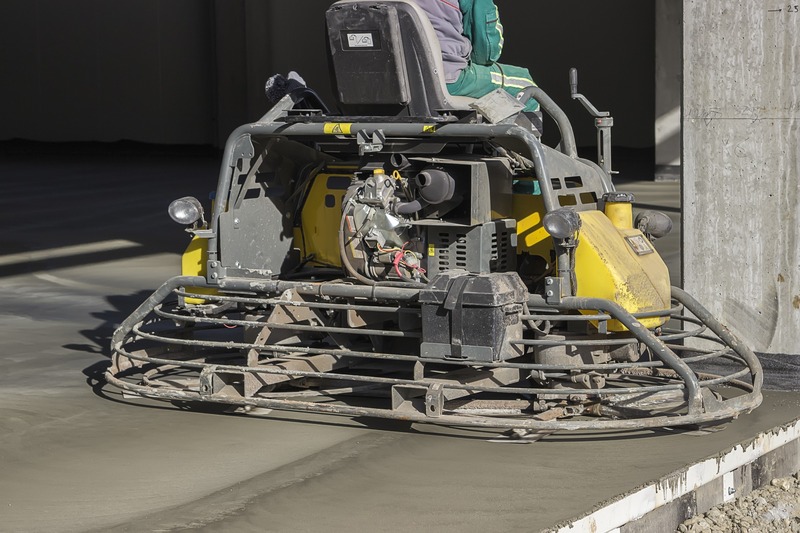 If you are working on a new concrete surface, it needs to have been flatly installed and finished to achieve the best results. The concrete surface should have also been installed for at least 28 days to ensure it has adequately cured prior to the installation of polished concrete. When working with existing concrete floors preparing the surface prior to installing polished concrete needs to be done to remove any grease, dirt, blemishes or old coatings. If the concrete surface is uneven, patching needs to be done to even the surface. When properly installed polished concrete can be an amazing flooring system. On the other hand when not done properly the concrete flooring installation may look unfinished and messy. Trust only the best polished concrete installers in Dallas, Texas. The reflective and smooth surface created with polished concrete offers a wide variety of design options with dyes and stains being the most popular. This is an uncolored polished concrete so it comes in plain gray color. It is a simple but definitely creates a high gloss finish and comes with all the benefits of polished concrete. Concrete stains are another way to add color to your concrete surface. Staining offers a luxurious glossy finish that cannot be achieved by other concrete coloring techniques. Staining penetrates concrete to create translucent, luminous tones that vary depending on the condition of the concrete surface and the techniques in application. Stained polish concrete can mimic the look of natural stones such as marble and others. Stained polish concrete uses either water-based stains or acid stains or acid stains Water-based stains are available in a wide range of colors including white, black and even in orange and yellow. Acid stains create natural depth and color. The color palette of acid stains is composed mainly of earthy tones such as terra cotta, browns, tans and light blue-greens. The hues are not as extensive as water-based stains. This may or may not be as noticeable when working with epoxy related to garage flooring. There are no two stained polished concrete floors that will look alike even when the same shade or even staining product is used. This is largely due to the porosity and age of the concrete surface. Concrete dyes provide vibrant colors and it is an effective way to enhance the aesthetic appeal of polished concrete. Concrete dyes are available in more hues than acid stains and do not produce any chemical with concrete so the result is pretty much predictable. Organic pigments are used during the polished concrete process to allow them to penetrate deep into the concrete surface to come up with color effects that are translucent. Dyes alone can be used or in combination with acid stains to create accent shades. Different dyes can also be blended to create unique color variations and decorative effects. More intricate designs can be created with dyed polished concrete because dyes are easy to control during the application process. Polished concrete overlays are used with imperfect concrete surfaces. Polished concrete overlays can cover problematic concrete surfaces to make them seamless and smooth when there are cracks and uneven surfaces. This type of polished concrete can also add decorative designs or to achieve a terrazzo-like finish when the overlay is seeded with colored aggregate. Installing polished concrete overlays is easier and faster to do than patching or even replacing an existing concrete surface. The overlay is first installed and then after 24 hours polished concrete is done. Other than adding color, stenciling, scoring, engraving and cutting are other ways of customizing concrete surfaces. Various colors and application techniques allow the creation of intricate and amazing patterns on a polished concrete and/or epoxy flooring. Scoring can add texture and depth to a boring concrete slate. Scored concrete is a set of groves cut into concrete to create a unique design or pattern. Scoring is often used to make straight borders, diamonds, bands, rectangles, stars or any shapes on the concrete surface. They are then stained to be differentiated from the adjacent concrete. Indoor scoring can also be used to create a logo or graphic design into your concrete floor for a unique look. Outdoor scoring can be done on driveways, pool decks or patios and are more affordable than natural stone pavements. Polished concrete has become quite popular in Dallas, Texas because of its versatility. The use of quartz, aggregates and colors to create a unique flooring solution for the home, commercial and industrial establishments has contributed much to its popularity. Not to mention that is durable and easy to maintain. While many still use polished concrete for indoor flooring, many architects and interior designers have for many years used polished concrete for outdoor applications. The application of polished concrete requires a lot of expertise and specialized equipment thus considering this as a do-it-yourself project can present a lot of problems. 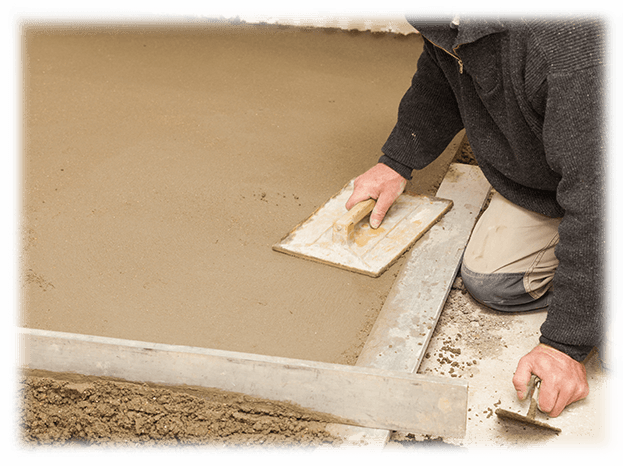 To get it done right, it is best to work with a professional Dallas, Texas polished concrete contractor. Our working hours are Sunday to Saturday, 8 AM to 8 PM. Our goal is to lead by example with honesty, commitment, integrity and excellence as our trademarks.